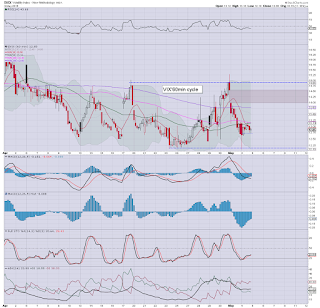 With equities closing moderately higher, VIX remained broadly subdued, settling +1.2% @ 12.85 (intra low 12.10). Near term outlook offers further equity upside to the sp'2140s... which would likely equate to VIX remaining stuck within the 15/11 zone. 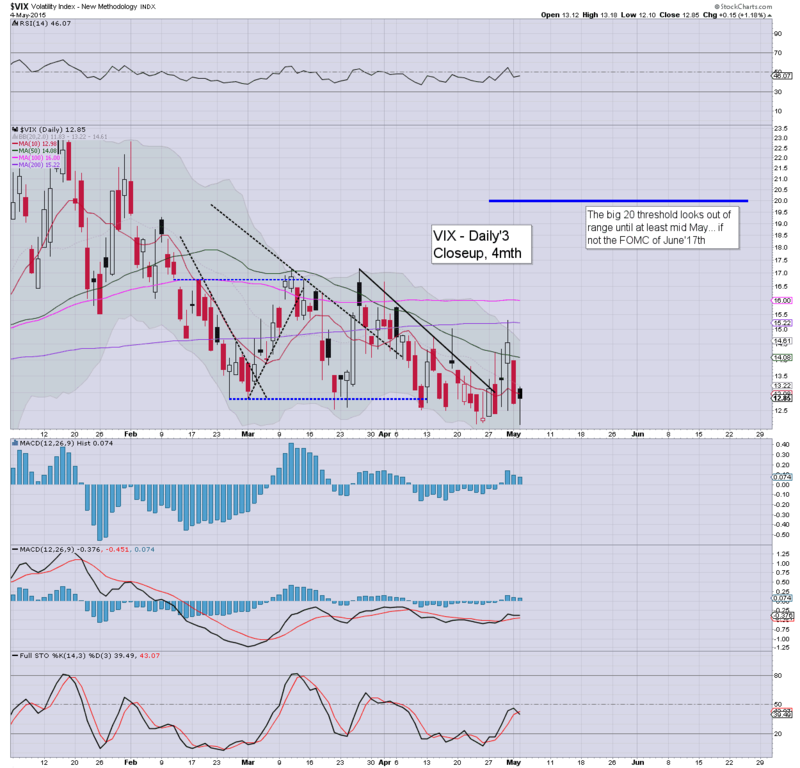 VIX remains low.. and the big 20 threshold looks out of range until at least mid June. US equity indexes closed moderately higher, sp +6pts @ 2114. The two leaders - Trans/R2K, settled higher by 0.1% and 0.4% respectively. 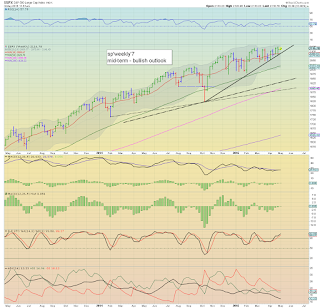 Near term outlook is bullish, with the sp'2140s viable into the monthly jobs data this Friday morning. 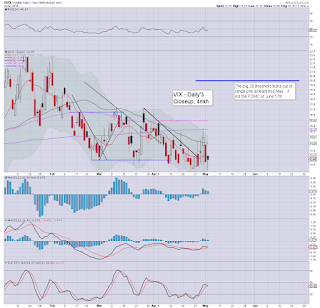 First support is the 2090/85 zone. Suffice to say.. a quiet start to the week. 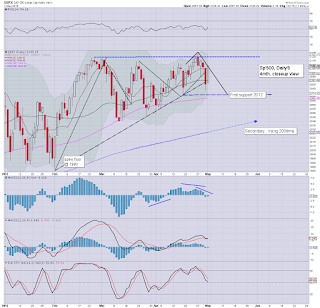 There is little reason why the market won't grind broadly higher into late Thursday.. if not early Friday. *I will be keeping a close eye on the DIS.. which has results 8am Tuesday. US equities look set for moderate net daily gains, with a daily close in the sp'2112/22 zone. 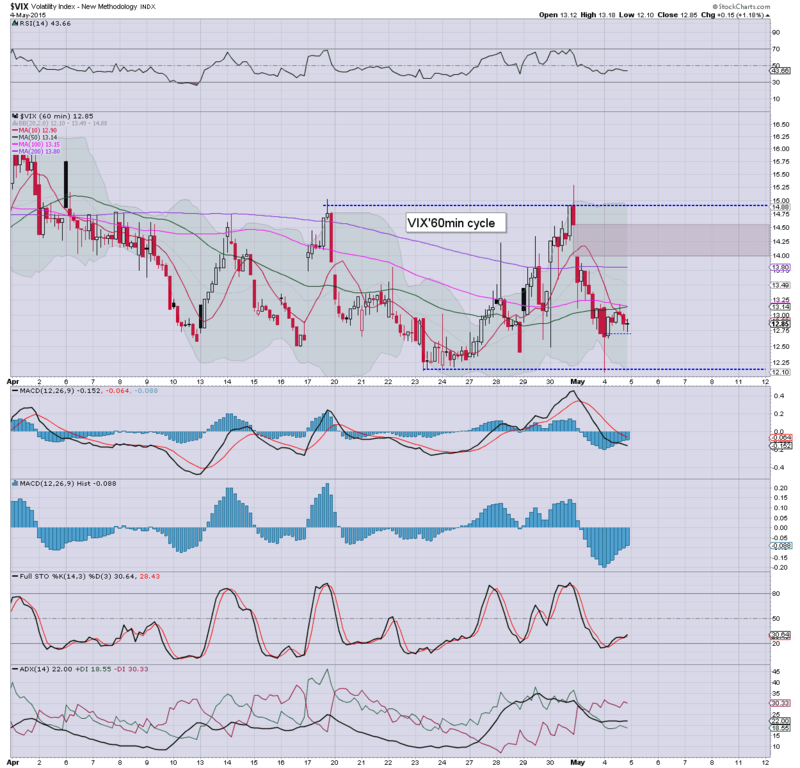 VIX remains reflective of a market that has virtually no concern of anything, +1.2% in the 12s. 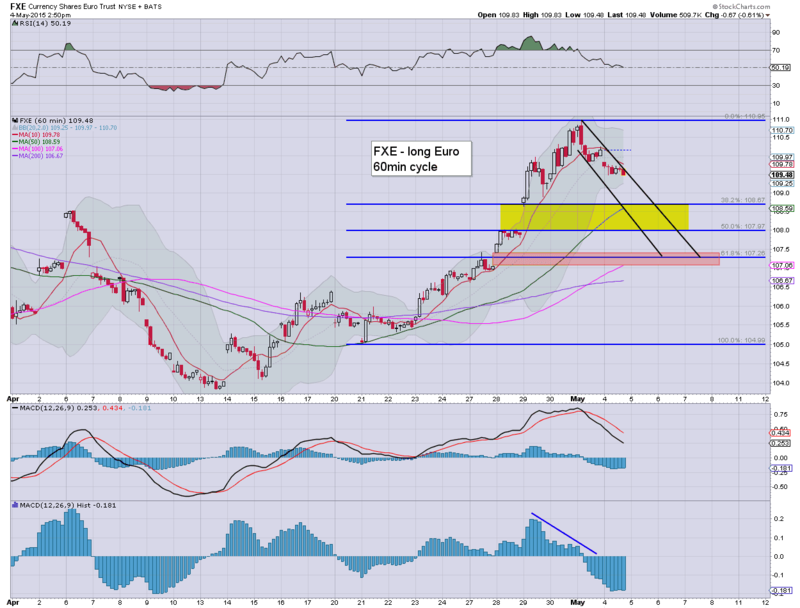 There is notable weakness in the Euro, -0.6%.. in what is a minor retrace of recent strong gains. Price structure on the equity hourly cycle is a baby bull flag, and its arguable that we've already seen some initial confirmation of it. Regardless of the exact close... market looks like it wants to battle upward ahead of the Friday jobs data. Again, the issue will be... 'is good news going to be perceived as good news?'.. or otherwise? **I remain content on the sidelines... but with eyes on USO and FXE as likely longs.. this Tue/Wed. US equities have likely floored from a minor down wave of sp'2120 to 2113. Minor upside looks probable across the rest of the day. Metals have cooled a little from earlier highs, Gold +$9. Oil remains weak, -1.1%. A pretty quiet start to the week... things will certainly liven up by Wed' as the market will increasingly focus on the monthly jobs data. Also of importance will be the latest EIA report. *I have eyes on the Euro and Oil, but both look set to remain weak across much of tomorrow. For the moment, I'm very content to watch. 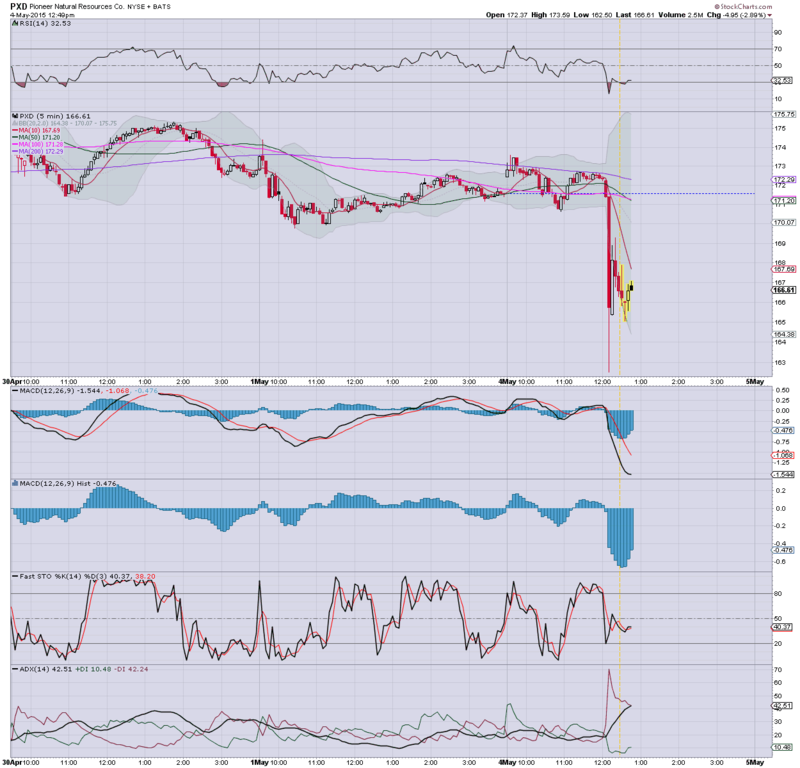 An opening black-fail candle on the hourly chart.... forming what is a viable double top. Earnings are due tomorrow at 8am.... earlier than originally planned. I favour the stock, but the market being what it is... might do to DIS what it did to AAPL. Worse case downside for the Avengers are the $102s.... but the 106/05 zone should hold... unless broader market is also weak tomorrow. 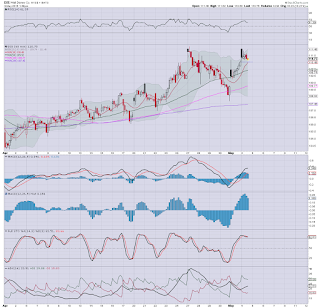 In any case, broader trend is exceptionally strong... and we've not already forgotten about Star Wars 7, have we? Whilst the broader market is holding moderate gains, one of the financial elite (Einhorn) is busy playing games this lunch time, slamming the Nat' gas frackers. Pioneer (PXD) sees a mini collapse wave, and no doubt... the comments will rattle around in market land for much of the week. 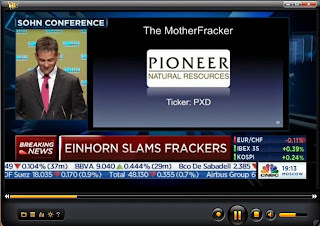 *I never follow PXD, so I can't even remotely say if its valuation is crazy high.. or low. What is clear... Mr Market sure does pay attention to some of the big names out there. Can you imagine how it must feel to be able to get up on stage, slam a given company, or even an entire sector, and see the algo-bots react within seconds? A loss of the $80 threshold would be a major problem.. and bode for 70/68. 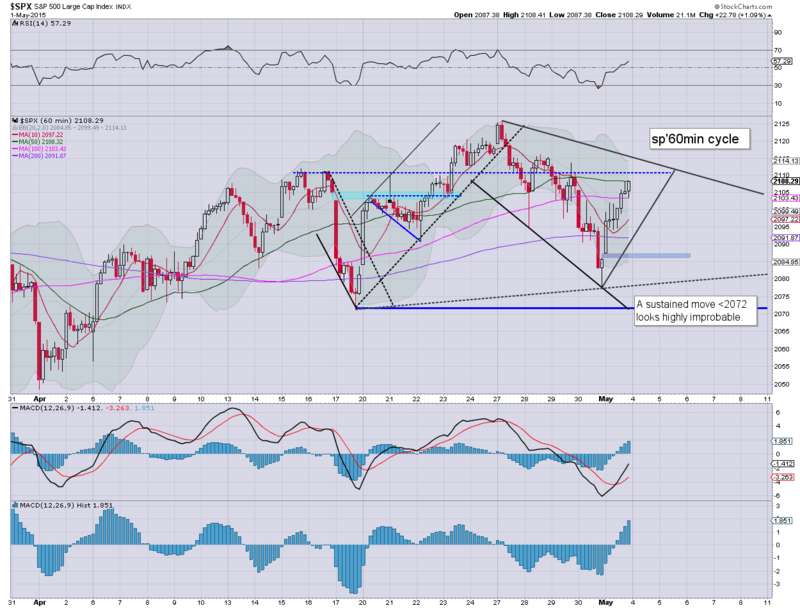 Equities are seeing some minor chop, with the sp +8pts @ 2116. 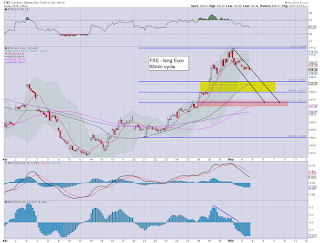 Metals are holding sig' gains, Gold +$11, with Silver +2.7%.. but broader price structure remains a bearish H/S formation. 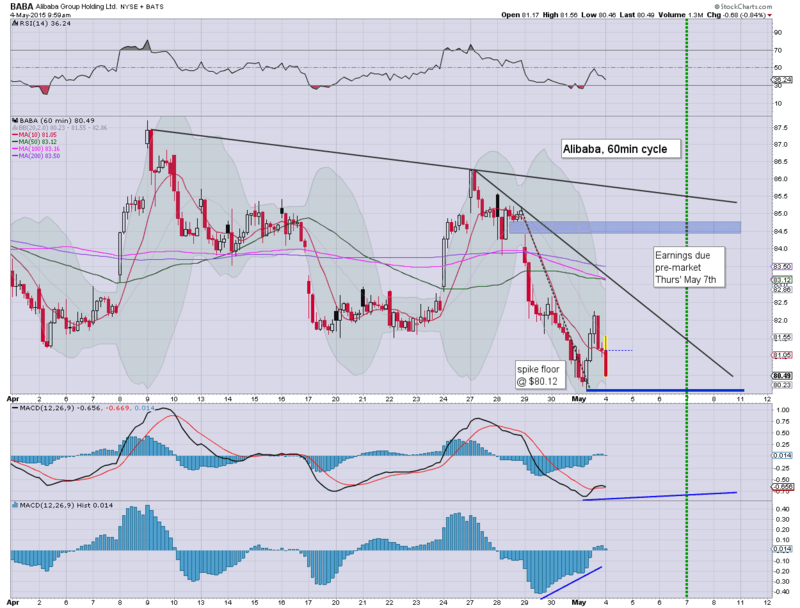 Oil is slowly cooling, -0.9%, as the USD continues a minor retrace/bounce. 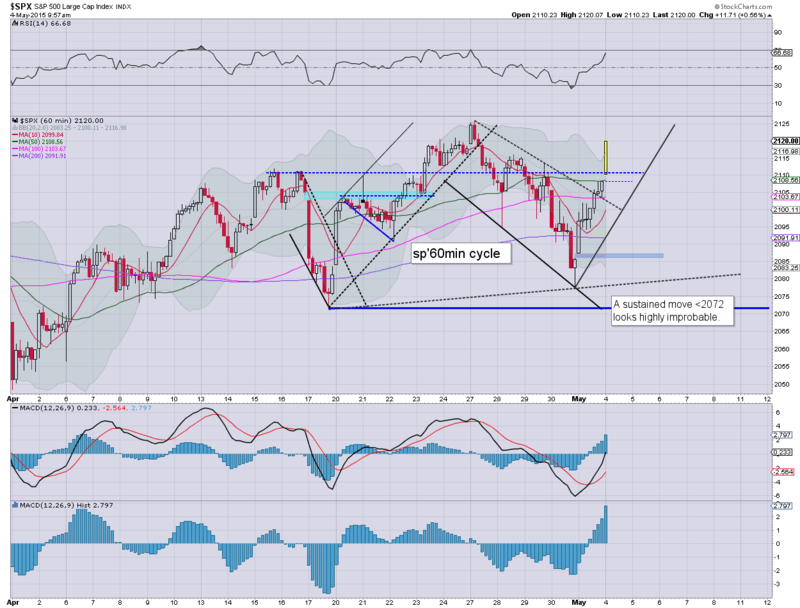 *it is highly notable that the bigger weekly cycle is now offering the sp'2140s in the immediate term. Euro and Oil remain somewhat in sync... which is kinda interesting. notable weakness, airlines, DAL/UAL, both lower by around -1%, despite weak oil prices. US equities are holding moderate gains, with a viable minor down wave into the early afternoon. The bigger weekly cycle is now offering the sp'2140s in the immediate term. Metals are holding gains, Gold +$12, with Silver +2.8%. Oil continues to cool, -1.3% in the $58s. Anyone still think a move under 2072 is viable in the near term? It sure looks unlikely. Despite the continued chatter about Greek payments due, the market doesn't care... and is looking reasonably strong this morning. 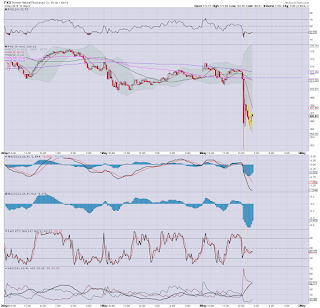 notable weakness: BABA -0.8% in the $80.50s. 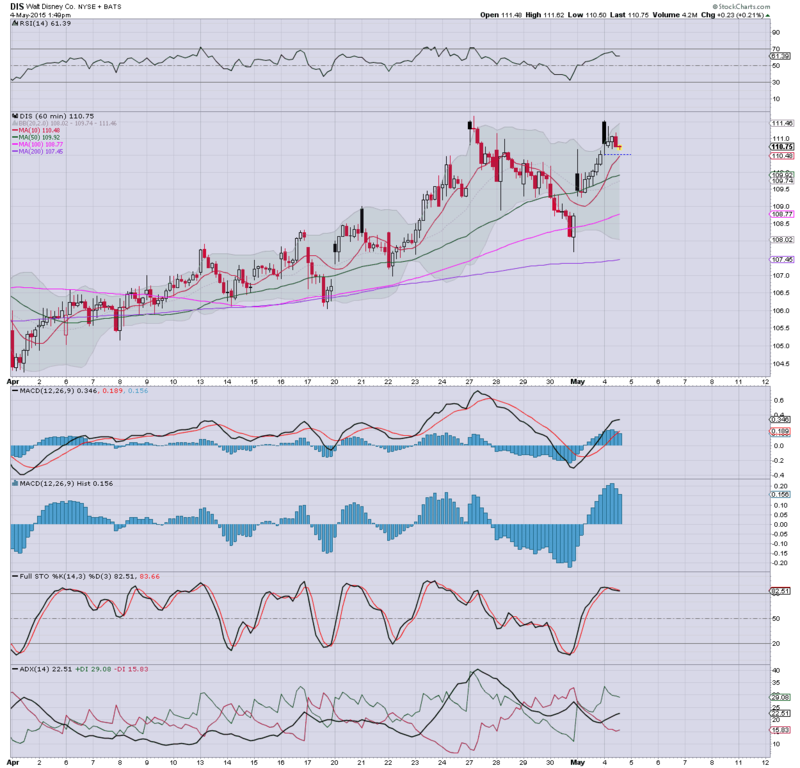 A loss of $80 would bode badly for those holding long into Thursday earnings. Relative to the main market.. BABA is performing poorly since late Friday. I have my eyes on the Euro and Oil as viable longs.. but not today.. or at these levels. 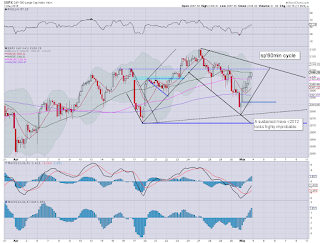 A retrace to the mid 108s looks highly probable. My only concern in terms of going long would be an extra washout to the secondary zone in the low 107s. 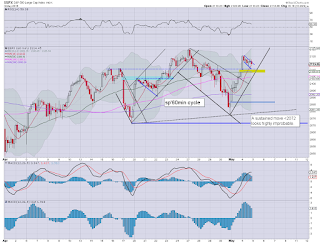 In any case... FXE looks okay for 115/120s in the mid term. Its not looking good for those in bear land... although clearly, until we're above sp'2125... the near term outlook is not 100% definitive. A failure to hold the $80 threshold would bode VERY bad for earnings,due this Thursday morning. *Fed official Evans speaks this lunch time... and Mr Market will be listening for any chatter on int' rates. Good morning. Futures are moderately higher, sp +6pts, we're set to open at 2114. Metals are a little higher, Gold +$3, with Silver +1.0%. 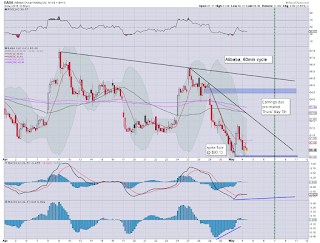 With the USD continuing a minor retrace/bounce, +0.2%, Oil is fractionally higher by 0.1%. *awaiting Factory orders data (10am). 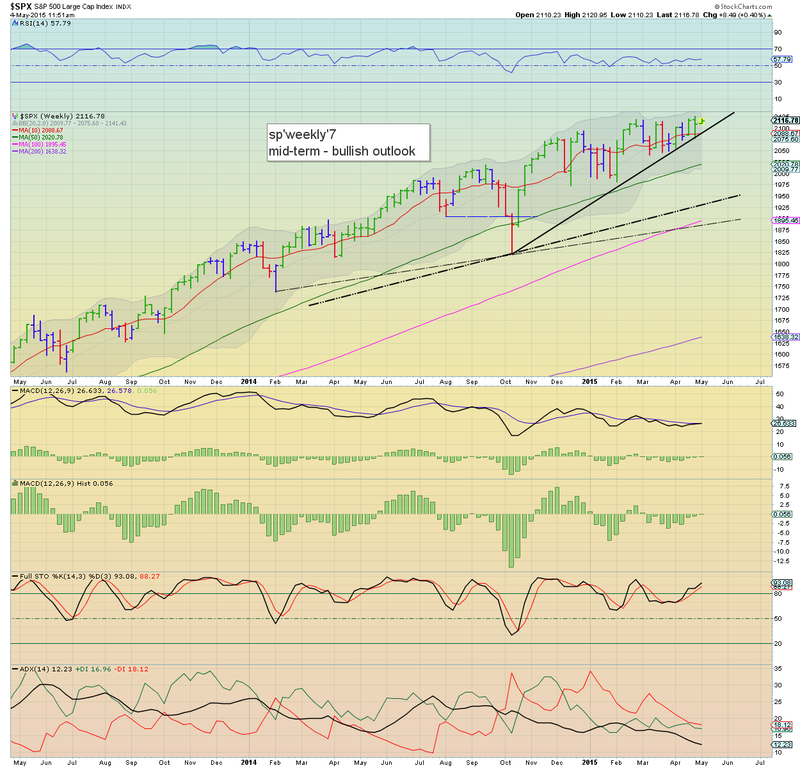 So... the week is set to begin with some gains... as the broader trend remains bullish (if weakening on the monthly MACD cycle). Equity bulls should be looking for a daily close >sp'2115 today or tomorrow... that will be enough to clarify new highs are due. 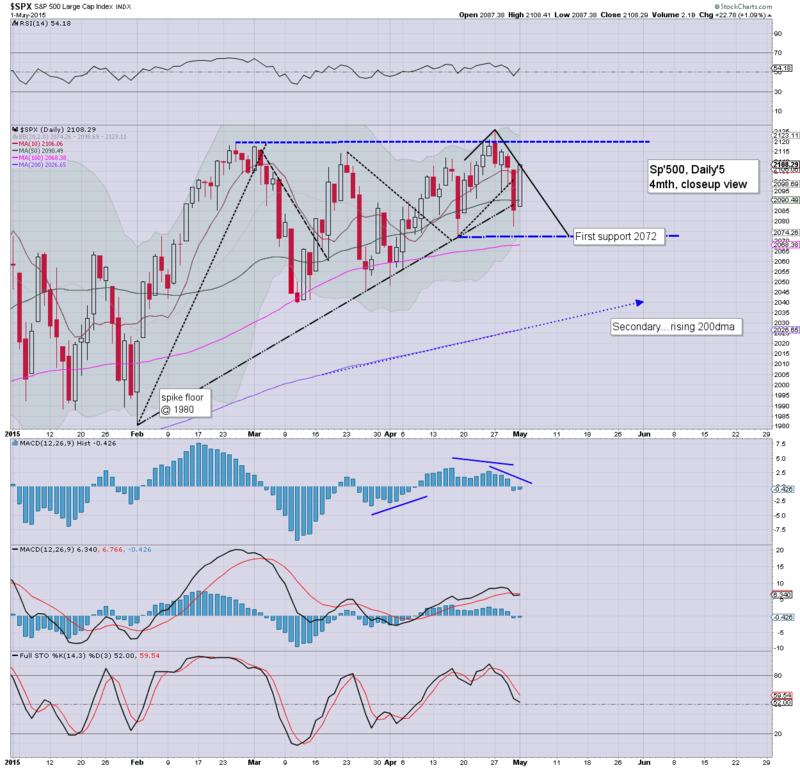 On no basis does a break under the 200dma look viable... and the recent low of 2072 should hold... even if the market unravels later this week. notable early strength: TWTR +1.4%, but still only in the $38s... and vulnerable to testing the Dec' low of $34s. I sure won't be getting involved in that momo nonsense for some weeks to come. weakness: MGM -2.9%... related to the post Maypac defeat? I certainly agree with Oscar on the precious metals. Overall price structure remains a very bearish H/S formation, and if Gold loses the Nov' low of $1130, there is open air down to the $1000 threshold this summer.